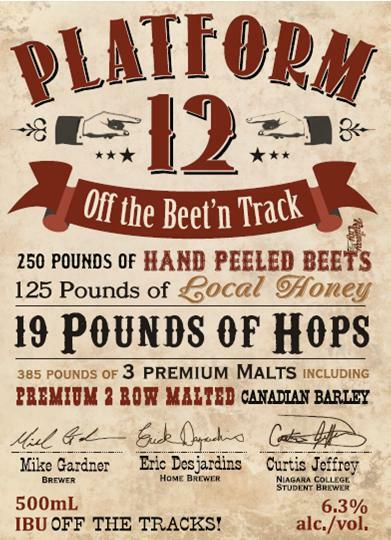 Platform 13 - Railway City 2nd Annual Home Brew Competition! Do you have what it takes to Brew the Best Brew? We want to find out! Railway City Brewing Co. is launching our 2nd annual Home Brew Competition that encourages home brewers to submit their Best Brew! The Competition ties in with the National Home Brew Day, held annually on the first Saturday of May. That event brings together thousands of home brewers from around the world, all brewing new beers simultaneously. More than 5,000 home brewers from North America, Europe, Africa, Asia, South America and Australia are expected to participate this year. Some brewers that participate in our competition may enter one of their creations from that day. Home brewers have been instrumental in the development and appreciation of craft beer around the world. Many Craft breweries have either been started by or have home brewers working in the brewing aspect of the business. The winners will compete for cash prizes plus the bragging rights and opportunity to brew a full size batch alongside Railway City Brewing’s brewer. 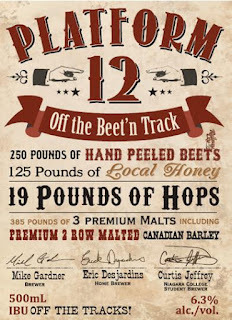 The winner will also have their signature identified on the bottles of their brew, which will also be featured as this year’s “Platform 13”, one of Railway City’s Seasonal offerings to be released later in July. One of the strengths of our competition is that it recognizes the Home Brewers and provides them a platform to create something special. The creative process is alive and well throughout the craft brewing industry. There are a ton of interesting new creations being brewed everyday. Railway City Brewing Company started in 2008 and just finished celebrating it’s fifth year in operation. Popular brands that are available in over 150 LCBO stores across the province include their Iron Spike Blonde Ale and their Dead Elephant Ale. Other interesting brews that have been developed using local ingredients include their newest Honey Elixir – featuring local honey, Orchard Harvest featuring local Macintosh Apples and their popular Shambock featuring local Maple Syrup.